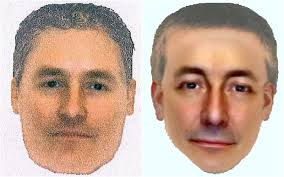 My article would be a very long one if I went into all the background and all the issues involved behind the unveiling, on the BBC CrimeWatch Special of 14 October 2013, of these two e-fits, allegedly of the man who is now the chief suspect in the disappearance of Madeleine McCann. So my introduction will be brief, and what follows will be little more than a series of notes and questions. My aim is to introduce this complex subject to the many people not aware of the many intricacies of the Madeleine McCann case. I want to give the context in which those two images were unveiled on CrimeWatch. These two images were first revealed to 6.7 million viewers of BBC CrimeWatch in October last year (2013), and around the same time they were published in all Britain’s mainstream print and TV media. They were presented as the face of the new suspect. We were meant to believe that this new suspect had been seen by members of an Irish family at around 10.00pm on 3 May 2007, the night Madeleine was reported missing. As you will see from what follows, I believe those millions of viewers were seriously and deliberately misled - by one of the country’s top police officers. This was a sketch made by Melisa Little, on behalf of the McCann Team, of the man said to have been seen by Jane Tanner - one of the McCanns’ close friends - at around 9.15pm the night Madeleine was reported missing. For nearly six-and-a-half years, this man, if he ever existed, was the No. 1 suspect. Immediately before her sighting, she claimed to have walked right past Gerry McCann and his friend Jez Wilkins. But neither of them remembers seeing her. Despite the apparent urgency of identifying this man, the McCann Team did not produce a sketch of this man until a full 5½ months after 3 May. It would be virtually useless after such a lapse of time. - and then escape the apartment, again without being seen by anyone except Jane Tanner. It was never a credible story. Now, the only reason we were told on BBC CrimeWatch to look for the man seen by the Irish family is because DCI Andy Redwood, the Head of Scotland Yard’s Operation Grange - the name of the investigation into the disappearance of Madeleine McCann -, told us in that broadcast that after 6½ years of looking for the man that Jane Tanner said she’s seen (often called ‘Tannerman’), we should immediately stop doing so. Because DCI Redwood said he’d found him! For DCI Redwood, this was ‘a revelation moment’, something ‘interesting’ and ‘exciting’, as he breathlessly told his viewers. A man had come forward - after 6½ years, so DCI Redwood told us - to say that he was probably the man seen by Jane Tanner. Of course, DCI Redwood didn’t do anything simple like tell us who this person was, a man who had apparently only just realised he was the very man that police forces and the public around the world had been looking for, for all this time. Amroliwala: “The British father had collected his 2-year-old daughter from the crèche. He had been walking near the McCanns’ apartment. This is the actual photograph taken by Metropolitan Police officers of the man, dressed in the kind of clothes he wore on holiday. This image was compared to the artist’s impression” [what was alleged to be a photo of the alleged ‘man from the creche’ was shown to viewers, alongside the artist’s impression of Tannerman. They did look very similar]. Redwood: “It is uncannily similar, and we know that the pyjamas their child was wearing, that it is, again, uncannily striking, the similarity”. The sudden revelation that ‘Tannerman’ might not be the abductor after all raised a number of important questions. B. Exactly who was this man (‘Crecheman’) that ‘came forward’ and said it was him who saw a man carrying sa child at 9.15pm on 3 May 2007? The question that occurred to most people was: Why, if this man had indeed been walking back from the creche past the McCanns’ apartment at around 9.15pm, had he not bothered to come forward for 6 years? But there were other questions. It was soon noted by a number of Madeleine McCann researchers that if the man had been walking south-eastwards past the McCanns’ apartment, as claimed by Jane Tanner, then he could not have been taking the shortest route back to wherever he was staying (a map is necessary to fully illustrate this point). Then there were question marks about the family involved. · that they could be the ‘Tanner sighting’. You can see for yourself that three times above, Redwood & Amroliwala use the word ‘they’. In addition, they refer twice to ‘the family’, and once to ‘them’. So it is clear that they are talking about a couple - man and wife, or man and partner and child. · carrying a child dressed only in pyjamas? This doesn’t make sense, does it? Where is the mother in this story which was put forward by Redwood & Amroliwala to 6.7 million trusting CrimeWatch viewers? I invite you to share with me my view that there is very good reason to doubt whether this man - suddenly ‘found’ after more than six years - ever existed. Would it not be a lot more credible had DCI Redwood actually named him?). Anyway, this device of ‘finding’ (or, as I suggest, inventing) Crecheman enabled DCI Redwood to identify, as his new chief suspect, a man said to have been seen by the Smith family, from Drogheda, Ireland. It’s to this alleged sighting that I now wish to turn. 1. Martin Smith, his wife and his two children Peter aged 29 and Aoife, 12, and five other family members were holidaying in the apartment the family owned in Praia da Luz, on the day Madeleine was reported missing. 2. Martin Smith knew local man (and the first suspect in the case) Robert Murat. The two had met, according to the Smiths themselves, ‘on several occasions’. 3. The Smiths later claimed they saw a man carrying a child at around 10.00pm on the night Madeleine went missing, somewhere between the Ocean Club, where the McCanns were having dinner that night, and the beach. 4. But none of them did anything about this until two weeks later. 5. The day after Robert Murat was made a suspect (15 May 2007), Martin Smith’s son Peter is said (by Martin & Peter Smith) to have ‘phoned his father and asked if his father remembered seeing a man carrying a child on 3 May. · they would not be able to recognise him again if they saw him. 8. In addition, there are contradictions in what they have said about this man and the child, which I deal with below. 9. On 9 September, four months after Madeleine was reported missing, Martin Smith says he was watching TV news footage of the McCanns walking down the steps of a plane, each carrying one of their children, as they landed back in England. 10. On 20 September, 11 days later, he made an emotional statement to Detective Liam Hogan of the Irish Gardai claiming that he was ‘60% to 80% sure’, by the way Gerry McCann was carrying his son Sean, that he was the very man he had seen carrying a child on the evening of 3 May. Martin Smith’s claim has since been widely viewed by members of the public as wholly lacking in credibility. 11. At no time did the Portuguese police attempt to get the Smiths to draw up e-fits of the man they said they had seen. 12. On 3 January, a series of newspaper stories in the British press reported that Martin Smith had been approached by Brian Kennedy, a senior member of the McCann Team who was conducting so-called ‘private investigations’ for the McCanns into Madeleine’s disappearance. Kennedy had appointed the controversial Spanish detective agency Metodo 3 as part of his investigation team. Martin Smith said that Metodo 3 detectives wanted to see him. 13. In an article in the Evening Standard in August 2009, Mark Hollingsworth alleged that men employed by Brian Kennedy, in his private Madeleine McCann investigation, had intimidated some witnesses in the case so severely that they now refused to give evidence. 14. We know from a number of published sources that a member, or members, of Kennedy’s investigation team met the Smiths at least once during 2008. Neither the McCanns nor Brian Kennedy nor the Smiths have supplied any details of when and why these meetings took place. 15. At this time, Kennedy was employing a team of investigators from a one-man-band company, Oakley International (‘Oakley’), formed after Madeleine McCann was reported missing. Oakley’s sole Director was Kevin Halligen, a man who, after working for the McCanns for a fee of £½ million plus expenses, went on the run from police, wanted for a number of major frauds. He was arrested in 2009, and spent four years in Belmarsh top security prison and a U.S. jail for his crimes, eventually being released in early 2013. 16. Halligen’s main assistant at this time was Henri Exton, formerly the Head of Covert Intelligence for MI5. He was later sacked by MI5 after being charged by Greater Manchester Police for stealing a bottle of perfume from a shop at Manchester Airport. 17. According to an article in the Sunday Times on 27 October 2013, Exton had produced the two e-fits shown by DCI Redwood of Operation Grange on 14 October. He claimed to have produced them in 2008. He alleged that the McCanns had ‘suppressed’ them, an allegation strongly denied by the McCanns [ NOTE: In September this year (2014) it was announced that the Sunday Times had paid the McCanns £55,000 compensation for their alleged libel ]. 18. On the BBC CrimeWatch McCann Special in October 2013, both DCI Andy Redwood and CrimeWatch presenter Matthew Amroliwala intended viewers to believe that the Irish family (the Smiths) drew up these e-fits. But after referring to the family, the chosen words used by presenter Amroliwala were that the e-fits had been drawn up ‘by two of the witnesses‘, not (which he could easily have said) ‘by two members of the Irish family’. Many have asked why he did not use those words, but instead used the ambiguous phrase: ‘two of the witnesses’. 19. The Metropolitan Police have admitted on the record that they interviewed Martin Smith ‘once in 2012’ and ‘once in 2013’. This would tend to suggest that Martin Smith has co-operated with DCI Redwood’s attempt to claim that these e-fits are probably of the person who abducted Madeleine - and to pass them off as having been made up from the Smiths’ recollections. But of course neither DCI Andy Redwood nor Martin Smith will say what was discussed at these two meetings. I am now ready to begin my analysis of the puzzles and contradictions surrounding these e-fits and the alleged sighting by the Smiths. D. Why we can’t accept what DCI Redwood told us about the two e-fits? 1. He maintained that the two e-fits were of ‘the same man’. But most people think the images are clearly of two different men. 3. On the CrimeWatch programme, the presenter did not explicitly say that the images were drawn up by the Irish family. 4. DCI Redwood has not, and cannot adequately explain why these e-fits were first produced five years previously (2008), but never used. (b) according to the limited information we have, if the Smiths did indeed draw up these two e-fits, they probably did so sometime between May and October 2008, which would have been 12 to 17 months after they say they saw the man - far too long after the event to be able to produce a valid e-fit, as police procedures accept and acknowledge. Martin Smith is quoted as saying: “We were home two weeks when my son rang up and asked was he dreaming or did we meet a man carrying a child the night Madeleine was taken. We all remembered that we had the same recollection. I felt we should report it to the police". “Initially the Smith family thought nothing more of the encounter - and even the next day when the story broke they still didn't make the connection. ‘We were home two weeks when my son rang me up and asked was he dreaming or did we meet a man carrying a child the night Madeleine was taken? We all remembered the same recollection, and I felt we should report it to the police’, said Mr Smith”. Martin Smith: “We've all been beating ourselves up that we should have made the link sooner, if only we'd remembered the next day. But the Portuguese police said you see these things on holiday all the time” [ NOTE: When did the Portuguese police ever say that to him? - we have no details ]. “He only became aware of Madeleine’s disappearance ‘the next morning’, from his daughter in Ireland. She had sent him a message or called him regarding what had happened. At this point he thought that Madeleine could have been the child he saw with the individual”. — At that time he did not associate the said individual with the disappearance, only after thinking on the subject and the coincidence of the time did he infer that MADELEINE could have been the child carried by the individual that he had seen. Drogheda Independent, 8 August 2007 – article based on interview with ‘a family member - possibly Peter Smith: “They returned to Ireland the next day, and because the reported abduction times didn't originally match, they never had cause to examine their journey that night. “As it emerged that Madeleine was abducted around the same time, one of the family members [Peter Smith – see above] had a flashback of the moment some time later and encouraged the others to jog their memory”. “They remembered passing a man walking towards the beach with a child in his arms. Other than his approximate height and the fact that he was wearing beige clothes they cannot be more specific than that. 'We are annoyed at how vague our description is’, said the family member. “The Smiths were leaving Kelly's Bar…between 9.50 and 10pm on May 3 last year. 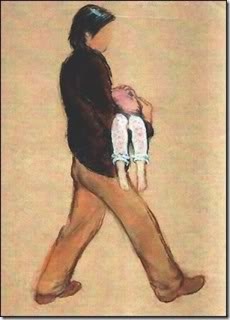 “They flew home to Ireland the next day, but when the times of Maddie's abduction were revealed, the family remembered seeing a man, 5ft 7in to 5ft 9in tall and dressed in beige, carrying the child. Significantly the description matches that given by Jane Tanner, 37, a friend of the McCanns. “Their description of the barefoot child and the man, who wore beige trousers, echoes that of Miss Tanner…Though the Smith family believe they met an almost identical man closer to 10pm, the coincidence prompted them to contact police after they returned to Ireland. Mr Smith said: ‘Luz is such a small place and so quiet, we felt a duty to tell the police and let them decide if it was important’." “A key witness in the Madeleine McCann case claimed yesterday that Portuguese police failed to take his evidence seriously. “But he said his information was virtually ignored by local officers because they were too busy chasing up another sighting of a man near Kate and Gerry McCann’s holiday apartment in Praia da Luz 45 minutes earlier”. “Scotland Yard detectives reinvestigating the case after six years have now established that the suspect Portuguese police were so keen to trace - spotted by holidaymaker Jane Tanner at 9.20pm - was just an innocent British tourist returning with his own child from a crèche”. H. Contradictions about the ‘Smithman sighting’ - No. 2: We didn’t think anything of it’, or a ‘disturbing encounter’? In the Sun, 3 January 2008, Mary Smith is asked about the claimed ‘sighting’ and says “We didn’t think anything of it”. In the same Daily Mail article, 3 January 2008, Martin Smith is quoted as saying that “It was a disturbing encounter”. “AN IRISH holidaymaker has spoken publicly for the first time of his disturbing encounter with a man carrying a child wrapped in a blanket on the night Madeleine McCann disappeared. “…the sighting…is strikingly similar to one by a friend of the McCanns, Jane Tanner. In hindsight, the retired Mr Smith said, the man’s rude behaviour should have aroused his suspicions. “Martin Smith said: ‘The one thing we noted afterwards was that he gave us no greeting. My wife Mary remembered afterwards that she asked him: 'Oh, is she asleep?' But he never acknowledged her one way or another. He just put his head down and averted his eyes. This is very unusual in a tourist town at such a quiet time of the year". Again from the Daily Mail, 3 January 2008: “Mr Smith said it was some time before the family realised they could be star witnesses: ‘We were out the night it happened…We went home about 9.50pm and we heard nothing at all about Madeleine McCann until the next day. I was taking my son Peter to the airport and on my way back, I heard that a kidnapping had happened in the village of Luz”. I. Contradictions about the ‘Smithman sighting’ - No. 3: The man lowered his head – or didn’t lower his head? J. Contradictions about the ‘Smithman sighting’ - No. 4: How did Martin Smith find out about Madeleine’s kidnapping? Quote from news article: “He only became aware of Madeleine’s disappearance ‘the next morning’, from his daughter in Ireland. She had sent him a message or called him regarding what had happened. At this point he thought that Madeleine could have been the child he saw with the individual”. K. Contradictions about the ‘Smithman sighting’ - No. 5: Was the child covered with a blanket - or not? “AN IRISH holidaymaker has spoken publicly for the first time of his disturbing encounter with a man carrying a child wrapped in a blanket on the night Madeleine McCann disappeared”. Yet the Smiths in their statements to the Portuguese police say the child was dressed only in pyjamas and was not covered by a blanket. L. Contradictions about the ‘Smithman sighting’ - No.6: How often had Martin Smith met Robert Murat? — Adds that in May and August of 2006, he saw ROBERT MURAT in Praia da Luz bars. On one of these occasions, the first, he was inebriated and spoke to everyone. He did not wear glasses at that time. He also states that the individual who carried the child was not ROBERT. He would have recognised him immediately. “The family contacted the Portuguese police and flew back over to give evidence. “The family are also mystified at reports that he knows Mr Murat. 'They met once in a bar about two years ago. My Dad would only knows Mr Murat by sight,' said the family member. 'However, from what he knows, he can say that the man who was carrying the child was not Robert Murat”. “An Irish tourist who saw someone carrying a child in a blanket on the night Madeleine McCann disappeared insists that the mystery man was not Robert Murat… Mr Smith is certain that the man he and his family saw that night was not Robert Murat, who is still officially an ‘arguido’ in the Madeleine McCann investigation. “Martin Smith said: ‘I told police it was definitely not him because the man wasn't as big as Murat - I think I would have recognised him because I'd met him several times previously”. From the Daily Mail, 3 January 2008: “Insisting he knew chief suspect Robert Murat visually for years, Mr Smith told police the person he saw carrying a child could not be him”. I am adding here all the specific things that each of the three Smith family members said about the man they claimed to have seen. The individual was male, Caucasian, light-skinned, between 20/30 years of age, of normal physical build, around 1,70/1,75 metres in height. At the time she saw his face but now cannot remember it. She thinks that he had a clean-shaven face. She does not remember seeing tattoos, scars or earrings. She did not notice his ears. His hair was thick-ish, light brown in colour, short at the back (normal) and a bit longer on the top. — His trousers were smooth "rights" along the legs, beige in colour, cotton fabric, thicker than linen, possibly with buttons, and without any other decoration. — She did not see what he was wearing above his trousers as the child covered him almost completely at the top. — She did not see what shoes he was wearing. — The individual's gait was normal, between a fast walk and a run. He did not look tired, moving in a manner usual when one carries a child. The description of the individual who carried the child was: Caucasian, around 175 to 180 cm tall. About 35 years, or older. He was somewhat tanned as a result of sun exposure. Average build, in good shape. Short hair, brown in colour. He does not remember if he wore glasses, or had a beard or a moustache. He did not notice any other relevant details as the lighting was bad. — He also does not remember the clothing the individual wore or his shoes. He states that he did not notice those details as his pregnant wife was somewhat ill and he was constantly attending to her, not caring about observation of the individual. He states that [the man] carried the child on his arms, with the head resting on the left shoulder, as such on the right of the deponent, appearing to him in a natural manner. Regarding the description of the individual who carried the child he states that: he was Caucasian, around 175 to 180m in height. He appeared to be about 35/40 years old. He had an average build, a bit on the thin side. His hair was short, in a basic male cut, brown in colour. He cannot state if it was dark or lighter in tone. He did not wear glasses and had no beard or moustache. He did not notice any other relevant details partly due to the fact that the lighting was not very good. — He was wearing cream or beige-coloured cloth trousers in a classic cut. He did not see his shoes. He did not notice the body clothing and cannot describe the colour or fashion of the same. Urged, he states that the individual did not appear to be a tourist. He cannot explain this further. It was simply his perception given the individual's clothing. He states that the individual carried the child in his arms, with her head laying on the individual's left shoulder, that being to the right of the deponent. He adds that he did not hold the child in a comfortable position, suggesting [the carrying] not being habitual. Questioned, says that the individual did not speak nor did the child as she was in a deep sleep. — States that it is not possible for him to recognise the individual in person or by photograph. This further statement followed Martin Smith’s claim in September 2007 that he thought he recognised Gerry McCann as the man he had seen at around 10.00pm on the evening of 3 May 2007. His unconvincing explanation for that was that he recognised who it was ‘by the way Gerry McCann was carrying his son Sean’ [on his shoulder]. The man “was wearing beige trousers and darkish top, maybe a jacket or blazer”. But in May 2007, just three weeks after his claimed sighting, Martin Smith clearly tells the Portuguese police that “He did not notice the body clothing and cannot describe the colour or fashion of the same”. Furthermore, Peter Smith’s evidence in May 2007 was that “He also does not remember the clothing the individual wore, or his shoes”. Neither Martin Smith nor his two children, in May 2007, could remember a thing about what the man was wearing above his waist. So we are entitled at least to ask, how could Martin Smith be so sure, over eight months later, that the man he said he had seen was wearing ‘a darkish top, maybe a jacket or blazer’? Why was he unable to describe, three weeks after the event, what the man had been wearing, yet very nearly nine months after the night Madeleine was reported missing, he could apparently tell the Irish police that he was ‘wearing a darkish top’? O. Contradictions about the ‘Smithman sighting’ - No. 7: Could the witnesses see the child’s eyes? - or not? How exactly could Martin Smith say that she was asleep if Aoife, his daughter, reports that the child’s face ‘was lying vertically against the man’s left shoulder’? Moreover, based on the few seconds that he saw this man in the dark, what makes him claim the child was in a ‘deep’ sleep? How can he possible know that? In both ‘sightings’, this was an unaccompanied male, carrying a child and having no buggy or push-chair. In both ‘sightings’, the child was described as ‘a girl’, ‘barefoot’, ‘wearing light-coloured/pink pyjamas’, and ’looking about four years old’. In both ‘sightings’, the man ‘did not look like a tourist’ (whatever that may mean), was ‘wearing a dark jacket’ and ‘light-coloured trousers’, was ‘about 1.75m to 1.8m tall (5’ 9” - 5’ 10”)’, ‘aged 25-40’, and ‘of average build’. In both ‘sightings’, the man was described as ‘walking ‘purposefully’/quite fast, the two sightings were within 600 yards of each other, and in neither case could the man’s face be seen properly (despite claims that the Smiths drew up the two e-fits). c) The Smiths saw no-one, but invented their sighting by copying the details of the ‘Tannerman’ sighting - which they may well already have learnt by the time they made their statements on 26 May, possibly (as we saw above) with the intention of giving extra credibility to the sighting of Jane Tanner, but at the same time emphasising that the man was not Robert Murat. Well, that concludes my little look at those mysterious two e-fits and at the multiple puzzles and contradictions in the Smiths’ accounts of events. I suggest that looking again in detail at what the three Smith family members say about the man they say they saw gives us no confidence whatsoever that they could have drawn up those two-fits. The appendix covering what was said on the BBC CrimeWatch Special by DCI Andy Redwood and presenter Matthew Amroliwala about the ‘Smithman sighting’ is below. AR: The careful and critical analysis of the timeline has been absolutely key. Primarily, we’re focused on the area between 8.30 and 10. MA: One of the most pivotal events on the timeline was Jane Tanner’s sighting of a man carrying a child. He was walking in this spot [picture shown of Matthew Amroliwala around the Escola Primaria and the Rua 25 de Abril, Praia da Luz], just metres from where Madleeine had been sleeping [picture of Matthew Amroliwala outside the M Canns’ apartment]. This man was widely thought to be Madeleine’s abductor. But the team was taking nothing for granted. AR: One of the things that we picked up very quickly was the fact that there was a night crèche that was operating from the main Ocean Club reception and 8 families had left 11 children in there, and one particular family we spoke to gave us information that was really interesting and exciting. In fact, I would say it was, it was a ‘revelation moment’, when, having discussed with them what they were doing on the night, they themselves believed that they could be the ‘Tanner sighting’. MA: The British father had collected his 2-year-old daughter from the crèche. He had been walking near the McCanns’ apartment. This is the actual photograph taken by Metropolitan Police officers of the man, dressed in the kind of clothes he wore on holiday [picture shown of man dressed in a dark blue jacket and light grey trousers. His face was blurred. His arms are shown projecting forward, as if carrying a child on his arms]. This image was compared to the artist’s impression [above -the one drawn by Melissa Little for the McCann Team]. AR: It is uncannily similar, and we know that the pyjamas their child was wearing, that it is, again, uncannily striking, the similarity. MA: So what you’re saying is that the timeline everyone was working on for years in this case, was wrong? AR: We’re almost certain now that this sighting is not the abductor. But very importantly, what it says, is that from 9.15, we’re able to allow the clock to continue to move forward [the sound of a clock ticking is heard], and in doing so, things that have not been quite as significant or received quite the same degree of attention are now the centre of our focus. MA: This was an enormous discovery for the team, with an innocent explanation for the suspect who’d been at the centre of the case for years. Their attention quickly turned to another sighting, which could now be the key to the entire mystery. It was here [picture shown of Matthew Amroliwala around the Escola Primaria and the Rua 25 de Abril, Praia da Luz] at 10pm, that an Irish family witnessed another man carrying child. They saw him come down the hill from the direction of the Ocean Club, headed in that way [he points] towards the beach. Could this have been Madeleine and her abductor?